Theory then becomes a guide to anyone who wants to learn about war from books; it will light his way, ease his progress, train his judgment, and help him to avoid pitfalls … Theory exists so that one need not start afresh each time sorting out the material and plowing through it, but will find it ready to hand and in good order. It is meant to educate the mind of the future commander, or, more accurately, to guide him in his self-education, not to accompany him to the battlefield. NOTE: These notes are derived from those long and successfully used by former NWC professor Dr. Lani Kass, which have been edited at several stages by Dr. Christopher Bassford and adapted by him to the AY2007-8 Course 6200 directed by COL Pete Faber. They don't necessarily match the precise readings or sequence of the current Syllabus, but they cover the same essential concepts. See also these potentially useful slides and graphics, from Chris Bassford. • War as an extension of politics/the military as an instrument of policy. • The distinction between winning battles and achieving political objectives. • The military as a blunt instrument of statecraft. of security-centered policy and in its execution. • The difficulties of learning from experience and history. In other words, Course 2 itself is fundamentally Clausewitzian. Ergo, if you don't grasp Clausewitz, you are not grasping the course itself. Thus, the most important aim of Topics 7 and 8 is to make sure the students really grasp Clausewitz's ideas and their enduring legacy in military thought and strategy. T-7: Analyze Clausewitz's theory of war, including his principal ideas on the nature, character, and conduct of war, and assess its applicability to the employment of the military instrument today and in the future. T-8: Analyze Clausewitz's principal ideas on the nature, character, and conduct of war and assess their continued applicability today and tomorrow. 3. Assigned Reading. Here are the pages from On War assigned in the 6200 Syllabus, with the respective Chapter headings added so you can see at a glance what subject matter is being addressed and in what sequence. pp.127-150: BOOK TWO, "ON THE THEORY OF WAR"
Chapter 1. "Classifications of the Art of War"
Chapter 2. "On the Theory of War"
Chapter 3. "Art of War or Science of War"
pp.577-610: BOOK EIGHT, "WAR PLANS"
Chapter 2. "Absolute War and Real War"
Chapter 3A. "Interdependence of the Elements of War"
Chapter 3B. "Scale of the Military Objective and of the Effort to be Made"
The Defeat of the Enemy"
Chapter 6A. "The Effect of the Political Aim on the Military Objective"
Chapter 6B. "War is an Instrument of Politics"
pp.75-89: BOOK ONE, "ON THE NATURE OF WAR"
Chapter 1. "What is War?" pp.90-123: BOOK ONE, "ON THE NATURE OF WAR"
Chapter 2. "Purpose and Means in War"
Chapter 3. "On Military Genius"
Chapter 4. "On Danger in War"
Chapter 5. "On Physical Effort in War"
Chapter 6. "Intelligence in War"
Chapter 7. "Friction in War"
Chapter 8. "Concluding Observations on Book One"
pp.177-193: BOOK THREE, "ON STRATEGY IN GENERAL"
Chapter 2. "Elements of Strategy"
Chapter 4. "The Principal Moral Elements"
Chapter 5. "Military Virtues of the Army"
4. Mission Analysis. The purpose of the two Clausewitz lessons is to provide the students with a sophisticated understanding of warits nature, purpose and conductand to help them develop and internalize a way of thinking that will serve them well throughout their career. That's a lot to do in 5 hours. Thorough preparation and focus are key. You should approach the two Clausewitz seminars (as well as the study periods preceding and between the seminars) as an integrated whole, rather than as two distinct lessons. As Bernard Brodie says, On War "is not simply the greatest but the only truly great book on war." It also has been the most influential. It is essential that your students really wrestle with the fundamental ideas they encounter in On War, not simply run the highlighter over the pages or try to memorize some pithy quotes. Reading Clausewitz is not easy. Teaching him is even harder. Grasping his concepts is, however, eminently worthwhileor, if you wish, consider telling your students that these are the dues that need to be paid to qualify for the next level of leadership responsibility. 5. Enemy. OK, the students are not the enemy, but they are the target. It is your job to persuade them that the study of Clausewitz is important, rewarding and relevant precisely because it touches the essence of our profession. At the very least, the students need to understand that this is not academic BS or mumbo jumbo German philosophy, with little, if any, relevance to today's battlespace. Many (especially SAW, SAMS, and SAAS grads) believe they've already studied Clausewitz and gained all there is to be gained; others have deliberately avoided reading him because they heard that "it's too hard/confusing." Convince your students that even if they have read On War diligently before, we will be reading it differentlyboth in terms of the order of presentation and for a different goal. Tell them how many times you've read it and the new insights you gain every time you do. As for the "too hard/makes my head hurt" excuse, simply tell them that Clausewitz is complex and confusing because the subject he is trying to grapple withwaris complex and confusing. This won't make the task easier, but it increases the chances of a good outcome (i.e., a light-bulb actually coming on). - Read some background on Clausewitz: Knowing who the man was provides important context. There are a number of background guides to Clausewitz on The Clausewitz Homepage (including earlier versions of these faculty notes)a good place to start is at the "Clausewitz FAQs." The students also have Paret, Howard and Brodie, as well as Brodie's notes/commentary at the end of the book. 3) war's element of subordination, as an instrument of policy, which makes it subject to reason. If they get this, maybe they could be the first generation of leaders not to misinterpret Clausewitz. That is their challengeand ours. "In the field of strategy…theory…helps the commander acquire those insights that, once absorbed into his way of thinking, will smooth and protect his progress. Knowledge must be so absorbed into the mind that it almost ceases to exist in a separate, objective way…. The continual change [in war] compels the commander to carry the whole intellectual apparatus of his knowledge within him. He must be ready to bring forth the appropriate decisions. By total assimilation with his mind and life, the commander's knowledge must be transformed into a genuine capability." (p 147). "Most men merely act on instinct and the amount of success they achieve depends on the amount of talent they are born with…. Yet, when it is not a question of acting oneself but of persuading others in discussion the need is for clear ideas and the ability to show their connection with each other. So few people have yet acquired the necessary skill at this that most discussions are futile bandying of words, [which] either leave each man sticking to his own ideas or they end with everyone agreeing, [just] for the sake of agreement, on a compromise with nothing to be said for it. Clear ideas do therefore have some practical value. (p 71). "Theory exists so that one need not start afresh each time sorting out the material and plowing through it…. It is meant to educate the mind of the future commander, or, more accurately, guide him in his self-education, not to accompany him to the battlefield." (p. 141; see also p. 578). 6. Time. Two aspects here: First, there's plenty of time to read, think, and digest. Make sure the students use it wisely. Second, in seminar, time will be your enemy even if you plan the mission carefully. While 5 hours might seem like a lotand the students may be groaning about the long seminarsyou're likely to run out of time long before you run out of airspeed and ideas. That said, watch out for "Clausewitz fatigue." Your objective is to keep the students engaged and wanting more, not to over-saturate the target. Watch for body language and be alert to signs of "my-brain-is-full-syndrome" Take a break when the discussion falters, not when the clock says so. Muffins, bagels and o.j. are powerful brain foods. Should a miracle happen and you do run out of ideas before you run out of time, call it a day. There'll be plenty of opportunities to reengage. The way to manage the time is by being clear in your own mind as to the "must do's"the absolutely irreducible minimumsfor both classes. This way, if all else fails, you know that you've given the students enough understanding to proceed. 7. Essential points/Must Do's. What follows are seven additional points we consider consider "must do's." You might spend an hour walking through the dialectic, leaving these points for later. While we can deviate from this time-table, make sure you capture these critical conceptsif not in T-7 then in T-8because, together with the ideas listed above, they constitute the irreducible minimum with which we must provide our students. That said, remember that you're only laying the foundation here. Clausewitz's ideas and concepts canand shouldbe discussed in every seminar throughout this course. a. The interaction of war and policy (pp. 605-610), especially the importance of political objectives as a determinant of "the level of effort in magnitude and also in duration"in other words, how long and how hard you'll fight depends on how important what you're fighting for is. Great analysis of ends and means in tactics and strategy on pp. 142-143good link to Course 5601. See also, pp. 226-229 and 585-586.
b. "Absolute War" vs. "Real War" and "war of limited objectives" vs "war to render [the enemy] politically helplessor militarily impotent." This is where setting up the dialectic up front will pay great dividends. There are two pairs of dialectical ideas here, not just one. The first pair is "Absolute (or Ideal) War," which is purely notional: Clausewitz calls it a "logical fantasy," meaning that absolute war is what we get if we sit down and game out a war between abstract opponents like A and B, who have none of the attributes of real societies at war. "Real War," on the other hand, is simply war as we actually experience itthe messy result of a collision between actual polities like France and Russia. Unfortunately, Clausewitz confuses lots of people who think that when he talks about "ideal" or "absolute" war he makes a value judgement as to the preferred type, i.e., they think that by "ideal" he means "the best kind of war." Contrary to popular belief, however, Clausewitz does not advocate unlimited, total, or absolute war. In truth, he doesn't prescribeor preferlimited war either. (Many contemporary interpreters claim he does prescribe limited war; some go as far as to suggest that there are actually two Clausewitzian theories: the first arguing for total war; the second and more "mature" advocating limited war. In our view, this is sheer BS, unsupportable by the text.) What Clausewitz wants us to grasp is that wars can have all degrees of importance and intensity, ranging from wars of extermination down to simple armed observation, depending on the objectives that are at stake and the often-differing values the opponents place on those objectives (p. 81). Therefore: "the first, the supreme, the most far-reaching act of judgment that the statesman and the commander have to make is to establish by that test [i.e., what's the value of the objectives] the kind of war on which they are embarking; neither mistaking it for, nor trying to make it into something that is alien to its nature. This is the first of all strategic questions and the most comprehensive." (p.88). c. Pay particular attention to Clausewitz's view of civil-military relations. Note that Clausewitz cautions against "asking soldiers for purely military advice" and urges politicians to study and understand war: "Only if statesmen look to certain military moves and actions to produce effects that are foreign to their nature do political decision influence operations for the worse. In the same way as a man who has not fully mastered a foreign language sometimes fails to express himself correctly, so statesman often issue orders that defeat the purpose they are meant to serve. Time and again that has happened, which demonstrates that a certain grasp of military affairs is vital for those in charge of general policy." (p. 608) Look again at pp. 87-89, as Clausewitz synthesizes his view of war and policy as a coherent, integrated continuum. While soldiers clearly must be subordinate to politicians, they are not passive servants: They have an active responsibility to ensure that their political masters understand the full (i.e., military AND political) implications of their decisions. d. The moral and physical dimensions of war (pp. 136-140). Clausewitz is unique in truly understanding and being able to convey the passions inherent in the very nature of war. The dialectic of danger and courage is compelling. One all-time personal favorite is the tenet that "fear is concerned with physical and courage with moral survival." (p. 138). You can pick up these issues in T-7 or T-8 in the context of friction, fog, and genius. e. The intellectual arsenal the future commander must develop and be able to translate into strategic effects (pp.140-141, 145-147, and 577-578). The key points to be discussed here are captured in "mission analysis," above. f. Centers of gravity. This term is one of the most controversial in On War. There are many interpretations and many useful ways to approach it, and Clausewitz uses the term in several different ways and at both the operational and the strategic levels. In essence, however, COGs comprise the dominant characteristics of both belligerents. They are sources of power, not weaknessthough it is of course our job to somehow turn the enemy's COG into a weakness or to deprive him of its benefits. Note that Clausewitz advises to narrow one's focus to as few centers of gravity as possibleone if feasibleand concentrate all efforts on it. Note also that he gives a menu of different possible centers of gravity (pp. 595-6 and 617-619). A discussion of these criteria and the difference between a center of gravity and a target is important. Targets are tactical; CoG are strategic because the aim is to killkinetically or otherwise that element in the enemy's system "on which everything depends"be it his military, his national/social/economic leadership center, or his alliance. g. The dialectics of offense and defense (pp. 357-358). All the students really need to grasp is that defense is the stronger form of warfare, as long as all you're trying to do is keep what you've got. Defense (like deterrence) cedes the initiative to the opponent. Therefore, it is a strategy of "a negative aim." Note that "negative" here is NOT a value judgement (as in "bad") but, rather, a restatement of the reality that by merely defending you don't gain anything tangible (like terrain), but you might gain time. The attacker has the weaker form of war but the positive goali.e., to increase his power by seizing assets (e.g., land, population, political prestige). 8. Seminar Termination Criteria/MOE's. How much you actually manage to cover and in what depth depends on you and your seminar. You'll probably run out of time at about the fourth or fifth point, leaving the discussion of centers of gravity and offense/defense for T-7. Close the seminar (and terminate Phase 2) with a short prep for the next phase. The good news is that the readings for T-7 will be much easier to grasp and digest. The subject matter is quite a bit less abstract, and the writing will seem more straightforward. A good note to end on: "Theory cannot equip the mind with formulas for solving problems, nor can it mark the narrow path on which the sole solution is supposed to lie by planting a hedge of principles on either side. [Is this what Jomini tried to do?] But it [theory] can give the mind insight into the great mass of phenomena and their relationships [holistic thinking, again! ], then leave it free to rise into the higher realms of action. There the mind can use its innate talents to capacity, combining them all so as to seize on what is right and true." (p. 578) That should motivate your students to continue reading and internalizing Clausewitz's core concepts. 1. can answer Clausewitz's going-in question, "what is war?" c. Reason (i.e., rational, intelligent analysis and decision). If you get this across, consider it "mission accomplished." * and, finally, looking at the issue as a whole again, hopefully with a better appreciation for its various facets, dimensions, relationships, and dynamics. The key to holistic thinking is set out in Clausewitz's Introduction to Chapter 1, Book 1: "In war, more than in any other subject, we must begin by looking at the nature of the whole; for here [in war] more than elsewhere, the part(s) and the whole must always be thought of together." See also pp. 582-583, especially: "every war must be conceived of as a single whole; with his first move the general must already have a clear idea of the goal on which all lines are to converge." This should help you address "end state" and Clausewitz's admonition: "No one starts a waror rather, no one in his senses ought to do sowithout first being clear in his mind what he intends to achieve by that war and how he intends to conduct it. The former is the political purpose; the later the operational objective. This is the governing principle which will set its [war's] course, prescribe the scale of means and effort which is required and make its influence felt throughout…." (p. 579) Everything else can wait for T-7. A. Phase 1: Preparation of the Battlefield. This needs to be done during the Topic 6 seminar ("The Moral Dimensions of War and the Just War Tradition") to get your students ready for the fight. You won't be shortchanging Father Hehir. In fact, there's probably more to be gained from a comparative analysis of Clausewitz and Just War Theory than from discussing either one in isolation. More importantly, if you let your students plunge into On War unprepared, you run the risk that they won't be able to engage effectively; some will miss the target altogether, making it harder on you to recover. a. Who is Clausewitz and who he is writing for: First, Clausewitz is a professional soldier, trying to come to terms with war as he's seen it, up close and personal, in victory and defeat (in this sense, he is writing primarily for himself). Second, he does not represent the aggressive Germany of the late 19th and early 20th centuries: He represents an alliance of independent states attempting to avoid subjugation by an alien conqueror and ideology (i.e., Napoleon and the ideology of the French Revolution). Third, he is a scholar/teacher, seeking to "educate the mind" of future warriors and statesmen as to the enduring nature and evolving conduct of war. (In this sense, he is writing for posterity, primarily for his fellow officers). You should also tell your students that from age 13 (when he served as a cadet in an infantry regiment engaged in an active and bloody counterinsurgency campaign) until his untimely death in 1831, Clausewitz was intimately involved in momentous wars and political developments that literally transformed the map of Europe. His thinking was not speculative theorizing and a search for linear, prescriptive principles (like Jomini's). Rather, he made a deliberate effort to come to grips with the multi-dimensional phenomenon of war in response to what he saw as a pressing need for a better understanding of that phenomenon. b. Why reading On War is so importanteven though it's difficult. Essentially, say to your students what is described above under "Mission Analysis" and "Enemy." You could add that Clausewitz really tried to write as concretely as possible, citing many past campaigns that his fellow officers at the time would have been quite familiar with. These examples are, for the most part, no longer relevant or even known, so what once was an aid to the reader now simply clutters the text. (Since we really do not have the time to build an adequate historical context, the practical approach is to tell students to skip these parts once they think they understand the basic message.) Also tell them to bear in mind that they are reading a draftan unfinished work, edited by someone who did the best she could, but really didn't have the skills and context to do it right. c. Last, explain the dialectic as the key to understanding Clausewitzor, at least to coping with the apparent contradictions, inconsistencies, complex logic, etc. All you really need to say is that, at the time Clausewitz was writing On War, dialectics were the methodology of choice to get at the essence of thingsbe it observable phenomena or ideas. Originated by Plato and Aristotle, but associated primarily with Hegel and Kant, dialectical reasoning involves: (1) positing a thesis (going in position); (2) thinking it through to its logical conclusion by marshalling all the supporting evidence, but also highlighting all the points that contradict it; (3) talking yourself out of your going-in position to arrive at an anti-thesis which may be the polar opposite of the thesis (as in good and evil; Christ and anti-Christ), or may be simply a very different notion about the topic in question; (4) repeating this analytical process of pro- and con- argumentation to arrive, exhausted but elated, at (5) the synthesis, which includes the key (and valid) points of both the thesis and the anti-thesis. The objective of this intellectual drill is twofold: to get at the core (i.e., understand the essence, or the nature) of whatever it is you're wrestling within our case, warand to reconcile (or, at least take account of) the many contradictions encountered in real life. You might want to end this little lecture by cautioning the students that if they read too quickly, or think too shallowly, they'll get only 1/3 of the argument . Challenge them to identify the thesis, antithesis, and synthesis in Book 1, Chapter 1. Make sure students bring their books to class! B. Phase 2: Engagement – T-7 Seminar. The sequence in which you address the concepts is not all that important, as long as you keep the discussion focused on the excerpts the students have actually read. Because everything is linked to everything else, you can easily deviate from your plan and reengage an issue later. What follows is simply one way to do it. Ask your students to read Chapter 1, Book 1, twice and to try to identify the thesis, antithesis and synthesis, then start there in the T-7 seminar. The opening question is "what is war?" This is easier if you've laid the groundwork in earlier seminars by capturing on the board the students' ideas as to what war is and what makes up its nature. Then walk the students through the dialectic, laying out the thesis ("war is nothing but a duel on a larger scale"); the antithesis ("war is merely the continuation of policy by other means") and finally the synthesis ("as a total phenomenon its dominant tendencies always make war a remarkable trinity, composed of: primordial violence, hatred and enmity, which are to be regarded as a blind natural force; of the play of chance and probability within which the creative spirit is free to roam; and of its element of subordination, as an instrument of policy, which makes it subject to reason. The first of these three aspects mainly concerns the people; the second the commander and his army; the third the government." - Next, he argues against himself, based on empirical evidence, beginning on p.77, with the introduction of the "three interactions" (meaning that, were the thesis true, the reciprocal dynamics of warthe action/reaction cycle inherent in the "collision of two living forces"would lead to endless escalation, because both you and your opponent would continue to try to outdo each other, miscalculating relative strength and will). The counter-argument continues on p.78: "Modifications in Practice." These "modifications" are: 1 "War is never an isolated act"; 2. "War does not consist of a single short blow"; 3. "In war the result is never final." - The anti-thesis begins to emerge on p.80, with the section heading "The Political Object Now Comes To The Fore." The supporting considerations are in sections 12-22. (Use the headings as way points). The anti-thesis argument is brought to its final, logical conclusion in sections 23-24, distilled in the most-often quoted phrase "war is merely a continuation of policy by other means." Note how throughout these sections (as well as in 25-27) Clausewitz's wrestles with the implications of his analysis (just like he did with the thesis). It is this intellectual struggle to make sense of and somehow reconcile the opposites (violence and politics) that leads to the synthesis. - The synthesis begins in section 27: "War should never be thought of as something autonomous but always as an instrument of policy…. Wars must vary with the nature of their motives and the situations which give rise to them. [Therefore] the first, the supreme, the most far-reaching act of judgment that the statesman and the commander have to make is to establish by that test the kind of war on which they are embarking; neither mistaking it for, nor trying to make it into something that is alien to its nature. This is the first of all strategic questions and the most comprehensive." The ultimate refinement of the synthesis is, of course, the trinity (section 28, p.89). This is another long seminar. The lesson objective is " Analyze Clausewitz's principal ideas on the nature, character, and conduct of war and assess their continued applicability today and tomorrow." Mission Analysis: This is the second seminar on Clausewitz's On War and the thirdand lastphase of your campaign plan. Everything stated in the notes for Topic 7 fully applies here. Your students should walk away from this seminar with a solid understanding of Clausewitz's fundamental concepts on the nature, purpose and conduct of war. In thinking through and executing this phase, take into account what you've already accomplished. Plan to cover both the new material and any points left over from the first seminar. Looking ahead, be thinking about how you'll use Sun Tzu and Clausewitz in your discussions at Gettysburg and how you'll try to integrate and apply their concepts in every lesson thereafter. a. Purpose and Means in War (the subject of Chapter 2, Book 1). Simply put, there is one purpose in war, its political aim; and one means, combat. Depending how much ground you've covered in T-7 re political and military objectives and the spectrum of conflict, reengage the discussion to make sure your students understand that "not every war need be fought until one side collapses…. Since war is not an act of senseless passion but is controlled by its political object, the value of this object must determine the sacrifices to be made for it in magnitude and also in duration. Once the expenditure of effort exceeds the value of the political object, the object must be renounced and peace must follow." (91-92). This Chapter also contains some key points re attrition vs. annihilation, paralysis, disruption, and targeting the opponent's will. Make sure you set these out now and revisit later when discussing Liddell Hart. (See, especially, p. 97 and Clausewitz's statement that "the moral factor is the most fluid element of all." It dovetails perfectly with Liddell Hart's notion that "will is the key incalculable in war.") There's more good stuff on the importance and impact of moral factors on pp. 184-186.
c. Chapter 7, "On Friction in War" (pp.119-121 says it all, clearly and compellingly, starting with the opening sentence: "If one has never personally experienced war, one cannot fully understand in what the difficulties… really consist, nor why a commander should need any brilliance or exceptional ability." Make sure your students grasp the concept in all its dimensions. Friction is more than Murphy's law. It is "the force that makes the apparently easy so difficult"the concept that "distinguishes real war from war on paper." The only "lubricant" available to reduce friction is combat experience. (p. 122 and the chapter on "Military Virtues of the Army"particularly the importance of inculcating a warrior spiritpp. 187-189). The key to overcoming it is an indomitable will. d. Intelligence is part of the friction in war. An all-time favorite quote (hated by every intel officer world-wide) is on p. 117: "Many intelligence reports in war are contradictory; even more are false, and most are uncertain…. Reports turn out to be lies, exaggerations, errors, and so on. In short, most intelligence is false and the effect of fear is to multiply lies and inaccuracies." Now, who wants to talk about information dominance, perfect situational awareness, and fog-less, transparent battlespace….? However, note that in virtually all such skeptical references to "intelligence," Clausewitz is referring to tactical or battlefield information. Even here, while he is skeptical of its accuracy, he does not dismiss its importance. In the larger, strategic, sense, Clausewitz is accutely aware of the need for good intelligence: "A commander-in-chief need not be a learned historian nor a pundit, but he must be familiar with the higher affairs of state and its innate policies; he must know current issues, questions under consideration, the leading personalities, and be able to form sound judgments. He need not be an acute observer of mankind or a subtle analyst of human character; but he must know the character, the habits of thought and action, and the special virtues and defects of the men whom he is to command." e. There's pure gold in Chapter 3 of Book 1 "On Military Genius." It is worth dedicating a full hour to this concept, focusing on those "gifts of intellect and temperament" that are needed to overcomeor, at least cope with"the four elements that make up the climate of war: danger, exertion, uncertainty and chance." (p. 194) "If the mind is to emerge unscathed from this relentless struggle with the unforeseen, two qualities are indispensable: first an intellect that, even in the darkest hour, retains some glimmerings of the inner light which leads to truth; and second, the courage to follow this faint light wherever it might lead. The first of these qualities is described by the French term coup d'oeil; the second is determination." (p 102) You can explain coup d'oeil as an advanced version of situational awareness: insight, intuition, and foresight. Determination combines moral and physical courage with strength of will and perseverance. "Courage is of two kinds: courage in the face of personal danger and the courage to accept responsibility, either before the tribunal of some outside power or before the court of one's own conscience." Go back to p. 138 and remind your class that "courage is about moral survival" (whereas fear reflects the concern with physical survival). f. The bottom line on military genius is on p.112. Before you go there, pause to discuss the preceding statement on p.111: "To bring a war or one of its campaigns to a successful conclusion requires a thorough grasp of national policy. On that level, strategy and policy coalesce: the commander-in-chief is simultaneously the statesman." This links directly to the integration of war and policy, civil-military interface, correlation of political and military objectives, and the integrity of military advice which you've addressed (or, at least touched upon) in T-7. These are key points that bear repeating and reinforcing. It is absolutely not necessary to use any gimmicks, visual aids, or diversions of any kind in the two Clausewitz seminars. Our traditional approach is simply to teach it the old fashioned wayfrom the book and the white-board. Because these lessons call on the students to go back to first principles about what military power and war are all aboutand what these concepts mean to them personallyyou shouldn't need any fancy techniques to generate quality discussion. The three-hour seminar is just enough of a change from the routine to require some special attention. Consider bringing food/drinks. Divide the time into either two sessions with a 15 minute break in between, or three sessions with 10 minute breaks. Try to develop a distinct purpose and approach for each session. If you reach your "culminating point" (that is, the point beyond which it is futile to press the attacksee, Clausewitz is useful for everything!) before 1130, spend a few minutes going over the plan and requirements for our forthcoming trip to Gettysburg. a. Assign each student one or two Clausewitzian concepts (e.g., friction, center of gravity, engagement, etc. and have them prepare an oral report explaining and evaluating each concept. (Give them a 5 minute time limit and ruthlessly enforce it). When presented in class, these reports make excellent discussion points. - As a variant, assign each student one of the "issues for consideration" and then give them 15-20 minutes to write a one-page essay answering that question. Then go around the table having each student summarize his/her answer and inviting the remainder of the seminar to comment. You then must, of course, collect the essays and provide feedback on the substance and style of the writing within the next couple of classes. The advantages of this approach are that writing forces students to crystallize and articulate their ideas more fully. Plus it gives you an early chance to evaluate and critique their writing. b. Focus your discussion around the question of how and why Clausewitz and Jomini reacted differently to the warfare of the Napoleonic period. This serves not only to promote a comparative analysis of the two theories, but also to highlight the fact that theory is rooted in particular sets of circumstances and views of the world and that intelligent, well-meaning analysts can differ on their interpretations of events. This will help set the stage for consideration of later theorists. While we normally start with the trinity as the final crystallization of Clausewitz's theory, you could do it the other way aroundthat is, trace the evolution of his thinking about war, tracking with the way the students read the text. In other words, knowing that Book One, Chapter One represents the essence of his ideas, you can start the seminar with Book Two, work through several selections back to Book Eight, and only then return to Book One to examine the culmination of his thinking. However you do this, your students must grasp three fundamental concepts from Book One, Chapter One: (1) "War is . . . an act of force [or threat of force] to compel our enemy to do our will;" (2) "War is not a mere act of policy but a true political instrument, a continuation of political activity by other means;" (3) "As a total phenomenon its dominant tendencies always make war a remarkable trinity composed of primordial violence, hatred and enmity, which are to be regarded as a blind natural force; of the play of chance and probability within which the creative spirit is free to roam; and of its element of subordination, as an instrument of policy, which makes it subject to reason." This should lead to a discussion of political objectives and military aims, as well as integration with Course 5601 (as well as 5603). An interesting point to bring up: semantically (if not in practice), we've separated the political/diplomatic instrument and the military/violent/war instrumentperhaps we shouldn't have. As per Clausewitz, these should be inextricably linked and addressed holistically. - You could then use these three fundamental concepts as the organizing approach to discuss the nature and purpose of war, either by throwing them out for general discussion, one by one, or by dividing the class into three teams with the task of explaining what Clausewitz "really meant," provide historical examples, compare Jomini's or Sun Tzu's ideas, and comment on current relevance with examples. Also you should be able to tie back to your first lesson of the Course and 6100. - Work through the reading selections in the order read and ask the students to identify, explain, and evaluate the development of Clausewitz's ideas and how his thinking may have changed as he wrote. - Work through the Issues for Consideration in sequence. They should generate plenty of discussion. At the end, help your seminar draw Clausewitz's ideas together into a systematic, coherent body of thought and analyze their relevance and implications. Once you've done that, compare and contrast the result with your seminar's analysis of Sun Tzu's work or Just War Theory. - Play the "devil's advocate." Tell your seminar that you really dislike Clausewitz, find him obtuse, too abstract, too outdated, too whatever. (But WE know we're just kidding, right?) Given how many people genuflect at Clausewitz's altar and quote his tenets (usually out of context and without a full understandingor even an honest effort at developing such an understanding), this might be a fun exercise. A variant on this theme is to have the students find the "problems" in Clausewitzwhat does he ignore, leave out, misinterpret, etc. A fair question is: If someone writes like this, should he expect anyone to read him at all, much less get his message? By the time you've finished these two seminars, you will have covered an enormous amount of ground. Be sure you've defined, in your own mind, the essential points about Clausewitz you want your students to grasp and the ones you want to carry forward into the seminars that follow. You will be failing your students if don't help them do comparative analysis (e.g., Clausewitz and Sun Tzu, or Liddell Hart, or Douhet, or Mahan, etc.) and show them how to apply the concepts to critique a strategy (past, current or future) or create a new one. In other words, don't close the book on On War at 1130 on 28 August! Weave in and integrate the main ideas into every lesson you teach. When in doubt, revisit the Course Themes: 9 out of 10 derive from Clausewitz! "The Clausewitz Homepage." 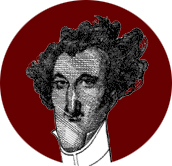 A large collection of relevant on-line books, articles, graphics, and bibliographies, including a "Clausewitz FAQs" page and even a (very short) "humor" section. Alan D. Beyerchen, "Clausewitz, Nonlinearity and the Unpredictability of War," International Security, 17:3 (Winter, 1992), pp. 59-90. This connects Clausewitz's world view to modern Complexity Theory, a subject introduced in Course 6100. Beyerchen shows that Clausewitz's world view has scientific and mathematical validity, and that his ideas were way ahead of their times. As a historian and free-thinker you might not need this to clarify your own thinking, but Beyerchen has handed us a weapon we can use to beat down the engineering and "hard science" types who typically resist Clausewitzian thinking. Colin S. Gray, "Clausewitz, History, and the Future Strategic World," prepared for the Strategic and Combat Studies Institute Conference – ‘Past Futures,' Royal Military Academy, Sandhurst, 3-4 July, 2003 and Marine Corps Command and Staff College, Quantico, VA, USA, 9-10 September, 2003. Strategic and Combat Studies Institute Occasional Paper No 47. Terence M. Holmes, "Planning versus Chaos in Clausewitz's On War," The Journal of Strategic Studies, Vol. 30, No. 1 (February 2007), pp.129 – 151. Holmes takes on several writers who claim that Clausewitzian theory is somehow inimical to practical military planning. This excellent exploration of the subject of planning in On War may somewhat miss the point of Alan Beyerchen's nonlinear interpretation of Clausewitz, but that's a good subject for debate. Jon Sumida, "On Defense as the Stronger Form of War" (draft, 15 March 2005). Paper delivered at the University of Oxford, March 2005. This paper examines Clausewitz's extremely controversial argument that defense is inherently the stronger form of waran idea that is central to most of the new material coming out discussing Clausewitz's ideas about "people's war," insurrectionary warfare, etc. Corn, Tony. "Clausewitz in Wonderland," Policy Review, September 2006 Web Special. Fleming, Bruce. "Can Reading Clausewitz Save Us From Future Mistakes?" Parameters (Spring 2004): 62-76.